Friends of ENHE are individuals who have pledged support to our programs through monetary donations. While ENHE is grateful for gifts at all levels, below are specific levels of support at which individuals may give. Below each levels is a more detailed description of what your donation could provide to ENHE and our students. 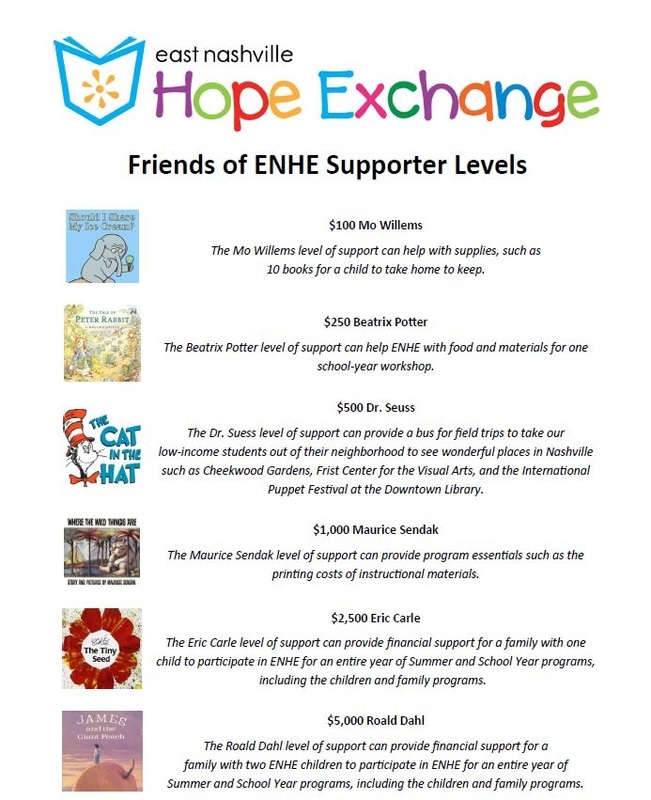 To become a Friend of ENHE, make your donation or pledge today! !